Through program design and coordination, along with incentive processing, marketing and trade ally management, CLEAResult deploys energy solutions that help customers in multifamily buildings lower costs and increase comfort. 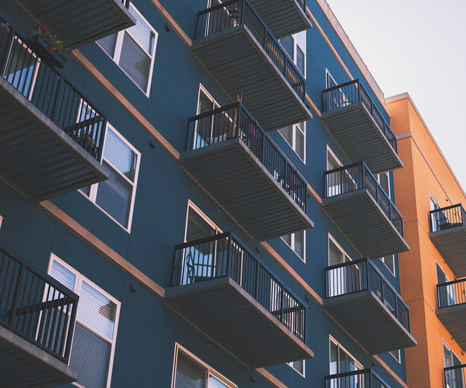 CLEAResult has energy efficient solutions for the full range of multifamily buildings—from duplexes to high rises to community housing, both new construction and existing. To increase participation in these programs, we work to engage building owners, property managers and tenants through marketing outreach and educational efforts. Regardless of the size of the building and the location, we can deliver energy savings at near commercial levels, while also improving your customers' satisfaction. These efforts are supported by the creation of incentive programs designed to prompt and reward customer action, each incentive program tailored to region and property type. Energy efficiency positively affects the operational affordability of multifamily buildings. For building owners, these programs can extend the durability and life of the buildings while reducing costs and increasing property values. For building tenants, these improvements offer lower energy bills while also providing improved lighting, safety, health and comfort. A popular Pacific Northwest new construction program has enrolled 126 new projects. With 75 of those projects completed, the program has already saved over 12 million kWh and more than 290,000 therms, delivering over $1.7 million in incentives.